We strive to make sure that every customer is 100% satisfied with their new cabinets, counters or home improvements before we leave the job. We use only the best quality products and provide the best workmanship in the industry…our reputation depends on it! What Is Covered Under The Warranty? 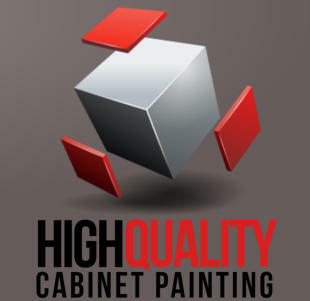 All workmanship and materials are covered, including: • Peeling, cracking or any bond failing of the applied products • Failing of any repaired areas • Silicone bleed through • Failing or cracking of caulked joints (cabinets only) and gaps (up to ⅛”, wider gaps/joints will be filled on customer request but may shrink over time) • Paint runs & drips, flashing of repairs through the finish, paint on floors or any surfaces not being finished by our company (does not include existing paint/dirt etc. on floors) What Is Not Covered Under The Warranty? • Natural wear and tear from normal usage • Damage from pooling water or steam (kettles, cooking etc.) • Damage from abuse of surfaces (hitting with sharp/hard objects and utensils, scratching from fingernails/utensils, slamming of doors/drawers etc.) • Damage from cooking pots or any hot items placed on surfaces • Damage from cutting directly on any painted surface • Damage from failing to install the proper recommended door and drawer bumpers • Paint failing on any door/drawer edges that are rubbing or touching other surfaces. This problem can usually be rectified by re-adjusting the affected door or drawer • Damage from cleaning surfaces with abrasive/harsh cleaners • Paint failing due to improper cleaning/prep work of surfaces prior to job start (customer’s responsibility as per written quote) • Imperfections in laminate and veneer surfaces (bumps, wrinkles, buckling etc.) • Grain bleed-through from oil/grease on oak surfaces. This problem can be rectified but requires additional work after the painted cabinets are cured. • Damage due to placing items on un-cured surfaces before waiting time specified on invoices • Unexposed surfaces that cannot be seen from normal viewing angles (ie. tops of cabinets, bottom/top unseen edges of doors and drawers etc.) • Damage to floors from moving appliances. Appliance removal is the customer’s responsibility, but if we are asked to move any appliances we will not be responsible for any damage incurred to floors After Job Completion: * ALLOW A MINIMUM OF 72 HOURS BEFORE INSTALLING HANDLES/HARDWARE * ALLOW A MINIMUM OF 2 WEEKS BEFORE PLACING ANY ITEMS ON PAINTED HORIZONTAL SURFACES OR SHELVING UNITS * PRODUCT TAKES 4 WEEKS TO FULLY CURE AND HARDEN - USE CARE IN HANDLING THE CABINETS DURING THIS PERIOD (HUMIDITY LEVELS MAY INCREASE CURING TIME) * USE EXTRA CARE AROUND HANDLES/PULLS WITH LONG FINGERNAILS & JEWELLERY (RINGS ETC.) DURING CURING TIME * DO NOT OVER TIGHTEN HANDLES - GENTLY HAND TIGHTEN ONLY* As with any painted surface, use care in handling doors, drawers etc. Only use mild cleaners and warm water. We recommend using Green Works cleaners as they are very mild but tough on grease and dirt (be sure to rinse well). Most marks will remove easily with warm water and a soft clean cloth. Questions? If you have any questions or concerns about anything not listed here please give us a call or email us.